Hip Hop! We couldn't imagine a world without it. It's the sound, the movement, and the way of life for millions of people around the world. Its sampling culture has inspired many other musical genres, and its flawless combination of rhythm, soul and rapping, can be poetry in motion. In this article, we'll explore the origins of Hip Hop; one of our most popular and beloved genres. Don't forget to check out our range of Hip Hop samples influenced by the different eras throughout the history of the genre. It won't be long before we're celebrating half a century of Hip Hop. In the late 1970's, rapping, scratching and breaking, the success of Hip Hop was in the making. The DJ culture had begun to grow, with disco’s and clubs popping up all around the US. One place of particular note in the history of Hip Hop is South-Bronx, New York. With high levels of unemployment, drug use and crime, it was one of the most notorious areas in the Big Apple during the 1970's. It was in the infamous block parties, held in the poorest district of New York City, where Hip Hop came to life. These block parties became the go-to place, mainly for African-American and Latino youth, attracted by a new sound and movement. Back in the 1970's, life in the Bronx was tough, yet contrastingly, black music in the 1970’s had softened a lot. Feel-good disco music was not a sound that everyone could identify with. Hip Hop became the reaction to the flashy, glamorous disco sound that reigned supreme during those years. And so, they left the discos behind and started their own parties: the block parties. In the early 70’s, one of the founding fathers of Hip Hop - Kool Herc, threw a ‘Back To School Jam’ in the flat on 1520 Sedgwick Avenue, often referred to as the first ever Hip Hop party. It’s in this area that he built his first sound system and borrowed the technique of Manhattan’s posh discotheques by using two turntables and a DJ mixer. That way he could play records non-stop. Instead of playing disco music, he played the harder funk music, focusing on the beat. Noticing that the crowd’s energy seem to rise with every break, he came up with a very simple, but effective trick, that would eventually be the foundation of Hip Hop: ‘the mary go round’. Instead of playing entire records, Kool Herc would play only the instrumental breaks, mixing between them to create a continuous flow. People loved it. Its focus was on the beat, rather than the vocals. Rhythm instead of melody. And so, breakbeats were born. These provided the blueprint to a brand new movement; Hip Hop. With b-boying, or breakdancing as it's official dance. It inspired many other Bronx DJ’s to do the same, including gang-leader Afrika Bambaataa, one of the most feared gangs at that time, known as ‘the Savage Seven’ or later on the ‘Black Spades’. A visit to Africa changed the way he thought about gang life, though. While the street gang era was starting to die out, he started a breaking crew – Zulu Nation, winning contests and breakdancing shows across the city. Music inspired him to do something good for the Bronx. Zulu Nation became a following of local Hip Hop enthusiasts, who organized parties and used the money they made into community self-help projects. Afrika Bambaataa turned violence into creativity, using the motto ‘be a war with creativity, not with weapons’. Zulu Nation’s parties started out in the old center on 174th Street, moving on to the Bronx River Center, which had a large gym that could fit a thousand people. These parties became more and more popular, and the following grew bigger than ever. Kids that might have previously joined gangs, now channelled their energy into DJ’ing, turntablism / scratching, breakdancing or MC’ing – the streets filled with speakers and turntables. A known anthem at that time, and still today, was a reworked version of ‘The Shadows – Apache’. Performed by The Incredible Bongo Bang in 1973, its extended drum break was picked up by Kool Herc, looped in his sets. Today, it’s considered by many to be the "National Anthem" of Hip Hop. It has been sampled on many different tracks over the years. With Hip Hop emerging in the 80’s, producers put this legendary break into their tracks, including ‘The Adventures of Grandmaster Flash On The Wheels of Steel’, ‘Way Way Back’ by Kool Moe Dee and ‘You Can’t Dance’ by LL Cool J. The Sugarhill Gang did a cover of the song in 1981. So, how did Hip Hop eventually leave the Bronx and become the biggest US musical genre of all time? How did a culture, based on DJ’ing and parties and enjoying music in the moment, become the best-selling genre, outselling R&B, electronic dance music, pop and rock? Well, it all started with mixtapes - travelling across the city, adding fuel to the fire of curious youngsters, who were attracted to these Hip Hop parties and soon travelled outside of their own areas to see what the hype was about. An entire culture had emerged, but no record label had released a Hip Hop record yet. Until 1979, when one mixtape found it's way into the hands of the owner of an independent, New Jersey record label; Sylvia Robinson. Impressed by what she heard, she decided to produce a Hip Hop record. When looking for an MC to feature on the record, her search ended in a local pizza shop, where she overheard one of the employees rapping. That guy, was Big Bank Hank, and Sylvia invited him to do a rap on the backseat of her car, to tape it to cassette. And the legendary rap of “I said a hip hop, the hippie, the hippie, to the hip, hip hop, and you don't stop, a rock it, to the bang bang boogie, say, up jump the boogie, to the rhythm of the boogie, the beat.” was born. One week later, The Sugarhill Gang’s 1979 ‘Rapper’s Delight’ was released, a dance floor hit that’s beyond legendary – the first Hip Hop record to gain commercial success. Today, Sylvia Robinson is still known as the mother of Hip Hop. Despite its success outside the Hip Hop community, the response of insiders wasn’t that positive. Lots of people claimed it was too soft, too disco-minded, to be called Hip Hop. According to a lot of rappers and DJs, the rough, street-credible Hip Hop sound was missing. Despite all that, ‘Rapper’s Delight’ become the first Hip Hop track to get mainstream exposure. And from there, the scene began to grow. More and more records were released, travelling all across the United States, to eventually become a worldwide movement. 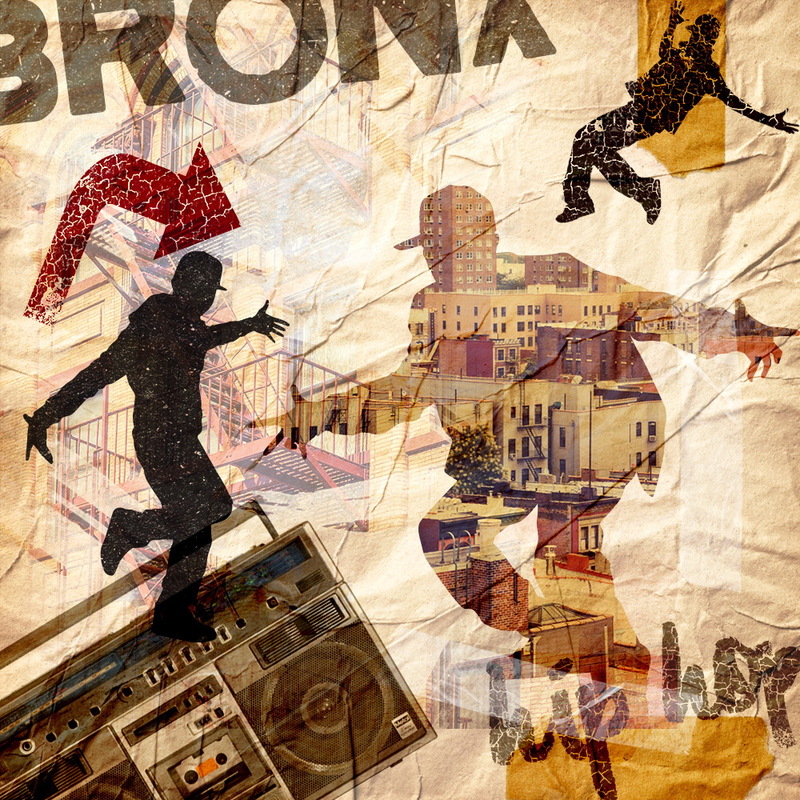 Its sounds may have diversified, with sub-genres and new waves rising, artists reinventing and blending, and millions of records have been released by legendary names and rising talents, but no matter how big it’s grown, it’ll always find its roots in the South-Bronx, where its foundations were laid. Long live Hip Hop, the result of war with creativity. More! Check out the list of our most downloaded Hip Hop samples ever which features a vast range of Hip Hop styles from different eras of the genre.